We are happy you have found the way to our website. This is your first step to the most beautiful, largest ski area of northern Germany. Thanks to about 100 snow canons our region is snow sure almost any time in winter. With nearly 1000 metres height the Wurmberg is the highest mountain of Lower Saxony and offers an abundance of winter sports for families, sportspersons and aficionados: alpine ski slopes, free style hills, toboggan run, snow tubing area, cross country ski tracks and winter hiking trails make you enjoy wintertime in its wide variety in Braunlage. The Wurmberg ropeway station has about 300 parking spaces on the large parking at the Ice Stadium (Eisstadion) and leads you directly up to the mountain. At the station of the bottom – easily to detect in the large block house – our new ski rental. 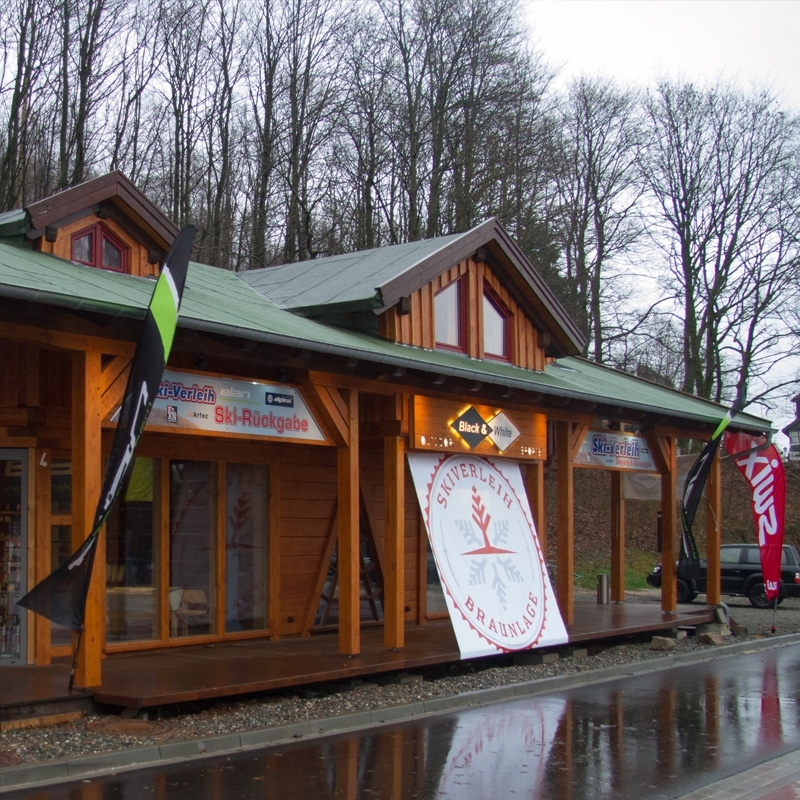 Opposite to that station we operate an extra ski workshop, where we provide you with immediate and professional services for your winter sports equipment. Everything is offered centrally on site: parking spaces, rental/ service / storage facilities/ ropeway .... What more could one want! We are looking forward to your visit! 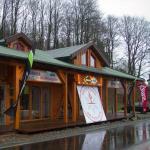 Meanwhile we have been active in the Wurmberg ski area for 18 years and know what we are doing. Every year we have been investing in new material to offer technical standards to the state of the art and satisfy our guests at best. We exclusively cooperate with the ELAN company. 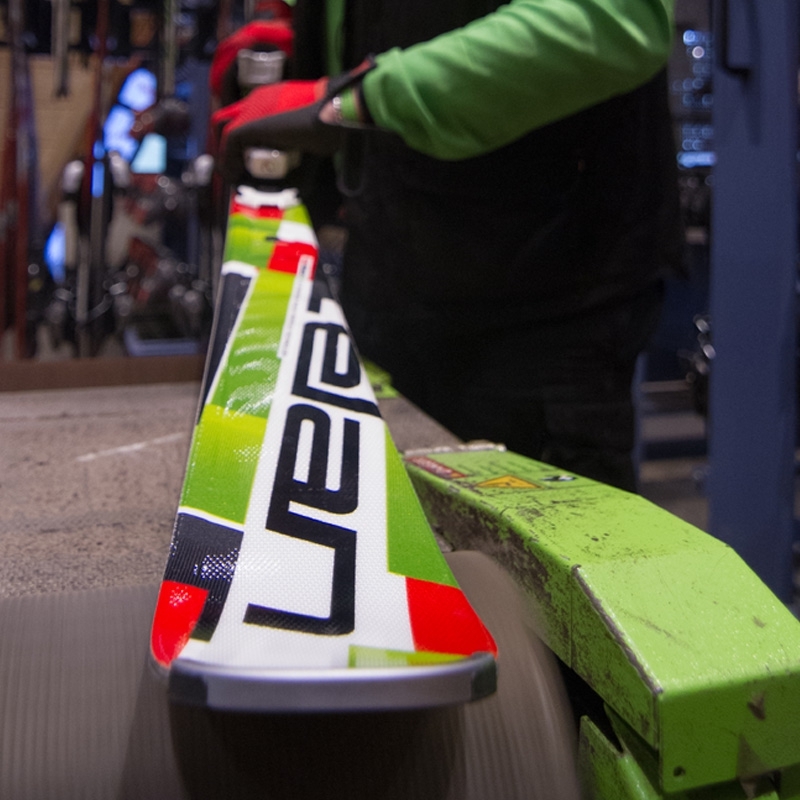 In our opinion, the best producer of skis worldwide. You will find different models for varying requirements. Our boots are produced by the Nordica company and are dried and sanitized every evening. Test us – you won’t regret!